At the Google I/O keynote in San Francisco this morning, Google demonstrated an upcoming overhaul for its mobile mapping apps on iOS and Android and announced an iPad version of Google Maps that will hit the App Store this summer. The new version of Google Maps will incorporate both restaurant and location ratings from Zagat. Google is bringing Google Offers integration to its mobile maps, offering discounts and coupons from retailers like Starbucks directly in the app. Searching for a restaurant or location within Google Maps will display ratings, reviews, and available offers. Google also plans to add live coverage of traffic incidents around the world, providing real time alerts with dynamic re-routing capabilities to improve the functionality of its turn-by-turn directions. As for Google Maps on the iPad, Google introduced a new tablet-centric feature called "Experience," which provides indoor maps for a variety of locations, displaying restaurant and shopping options. 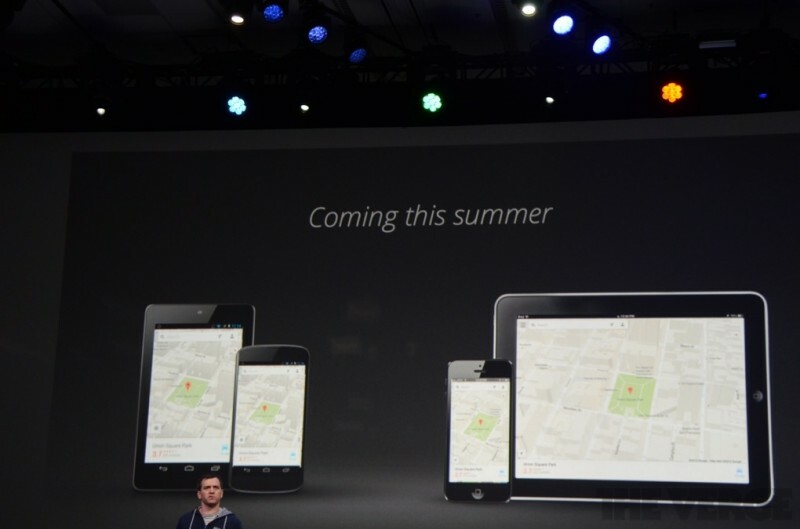 While on stage, Google's Mobile Director of Maps Daniel Graf didn't waste an opportunity to poke fun at Apple's Maps. While speaking about Google Maps on iOS, he had this to say: "People called it sleek, simple, beautiful… and let's not forget accurate." Apple Maps, which was introduced alongside iOS 6 to replace Google Maps, has been heavily criticized for providing inaccurate results and for its lack of crucial features, like transit information. Though Apple has been working to improve Maps, the addition of real time traffic reports, rerouting, and a more personalized experience puts Google Maps even further ahead of Apple Maps. Google also demoed its redesigned desktop mapping experience, which has a heavy focus on both "immersive imagery" and a more personalized experience. 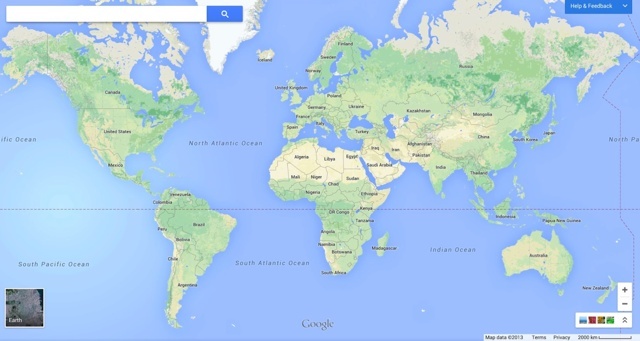 As noted by The Verge, Google Maps will be given a total design overhaul, displaying an edge-to-edge map within the browser window that is accented by a single search box. Maps are vector-based and quick loading, with details on locations and directions provided by information cards. A lone search box in the upper left gives you access to Maps’ features, as does clicking on elements within the map. Google has integrated Google Now’s card metaphor to present information from a newly built-in version of Google Earth, reviews from Zagat and Google+, Street View, and directions. And new user interface tweaks surface locations and transit routes before you even search for them. Clicking on a location within Google Maps will display reviews and a 360 degree inside-view option. Maps on the desktop has also been enhanced with imagery that allows users to explore mountains, oceans, and more, as it incorporates Google Earth's 3D view. Google is currently allowing users to sign up to preview the new Google Maps desktop experience. Google's iPad app and redesigned mobile apps will be released this summer.